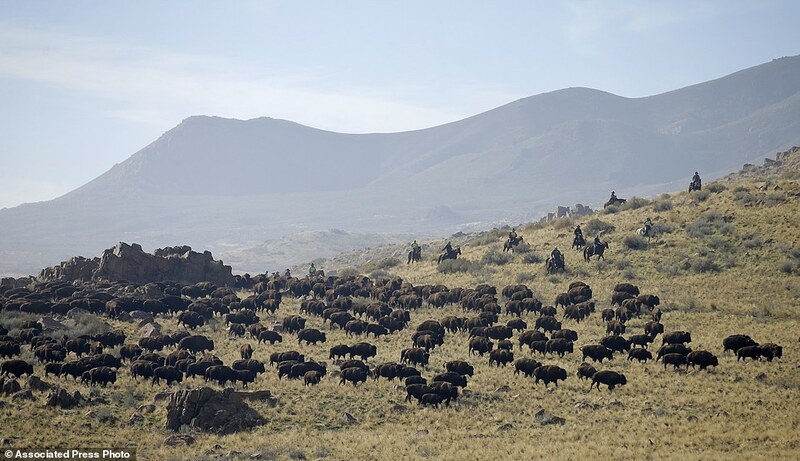 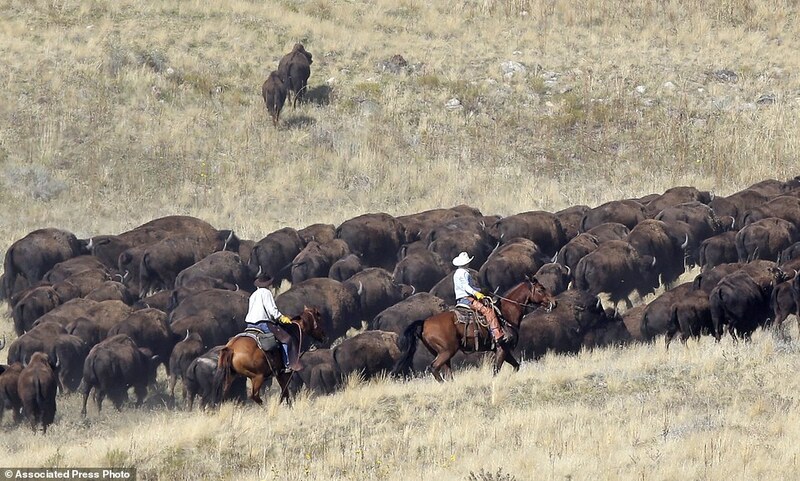 Riders on horseback are nudging bison on Utah's Antelope Island in an annual roundup of one of the country's largest and oldest public herds. 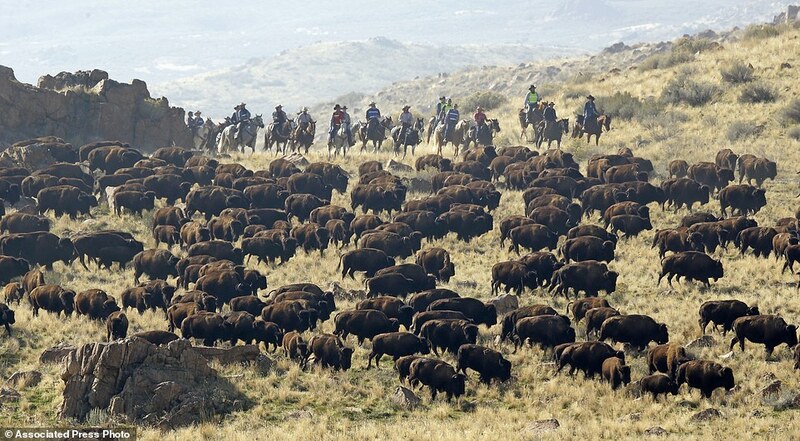 Utah State Parks workers kicked off the roundup, now in its 30th year, Saturday morning. 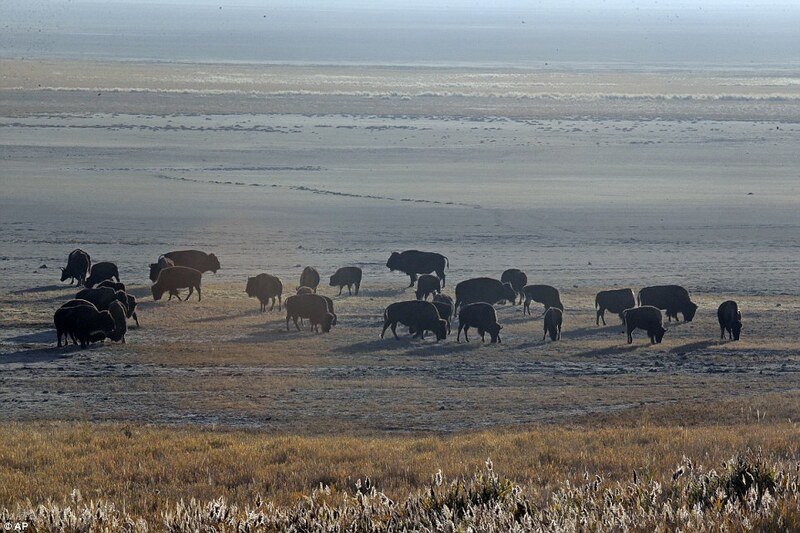 Hundreds of bison are being pushed into corrals near Whiterock Bay so they can eventually be given health checkups, vaccinations and even a small external computer chip to store health information. 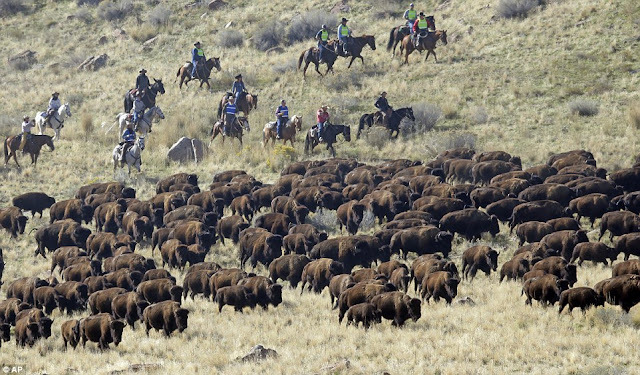 The roundup continues to draw spectators ever year. Park staff brought in bleachers for observers, live music and food for purchase. Antelope Island is in the Great Salt Lake, about 50 miles north of Salt Lake City. 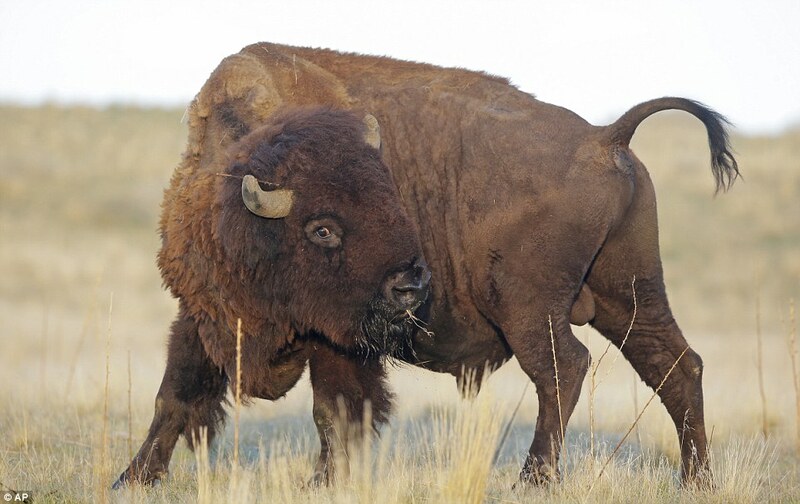 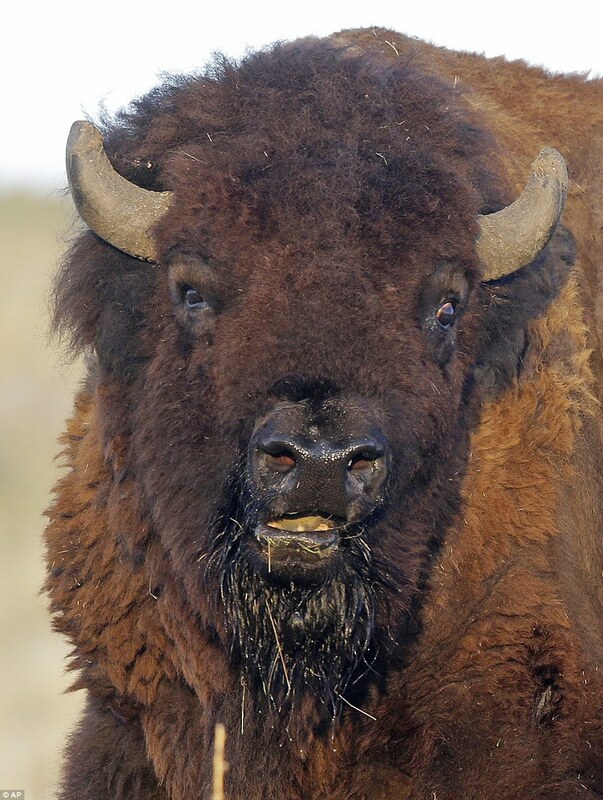 Responses to "1,300 genetically pure bison pound through park at annual roundup in Utah "